If you are like me, you grow lots and lot of tomatoes in your garden every year. You might grow paste type tomatoes for making sauce. And slicers for your sandwiches. And cherry tomatoes for popping into your mouth fresh. And if you are like me, you may have a little problem with planting a few too many tomatoes (there are so many types to grow!!). So what can you do with all those cherry tomatoes when you’ve eaten your fill? 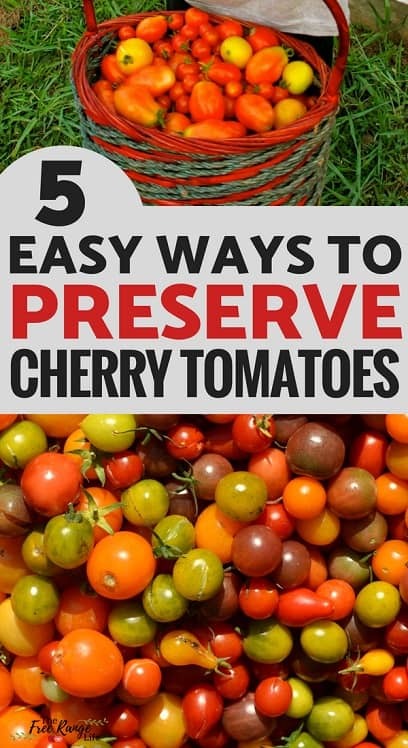 Here are just some of the ways to preserve cherry tomatoes from your garden! This may seem to be obvious, but sometimes we can forget that cherry tomatoes are just like any other tomato- just smaller. This means you can use cherry tomatoes in any of your normal recipes and they will turn out just fine. I have often added cherry tomatoes to my Roasted Tomato Sauce– I just use whatever tomatoes are on the counter when I whip up a batch. You can can cherry tomatoes the same as you would larger tomatoes- whole or halved. Check out the National Center for Home Preserved Foods for instructions on canning tomatoes. Just remember that cherry tomatoes will have a higher water content and maybe more seeds than your paste tomatoes. But it’s completely fine to throw some cherries in with the rest of your tomatoes! Another great option for preserving cherry tomatoes is to freeze them. To freeze cherry tomatoes you just need to remove any stems or debris. Lay them on a baking sheet in a single layer and place in the freezer. Once the the cherry tomatoes are frozen (after about a couple of hours) you can move the tomatoes to a freezer bag or container. When you are ready to use them, simply remove them from the freezer. You can use them straight from the freezer for most recipes that call for cooked or canned tomatoes- like soups or sauces. Want to preserve MORE food this year? Checkout my Food Preservation Planner– with cheat sheets, planning pages, inventory pages and more- to help you preserve more efficiently! Sun dried cherry tomatoes are probably the most common way of preserving these tiny tomatoes. And for good reason- they are so yummy! 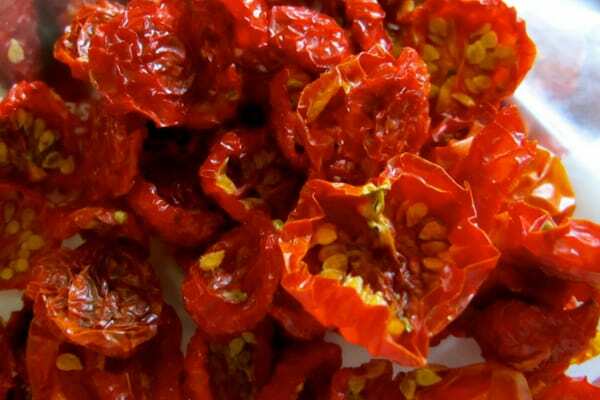 To make sun-dried tomatoes you can use a couple different methods. You can make OVEN dried tomatoes by roasting the cherry tomatoes in the oven. Here’s a good tutorial for how to oven-dry your tomatoes. Or you can actually SUN dry your tomatoes. 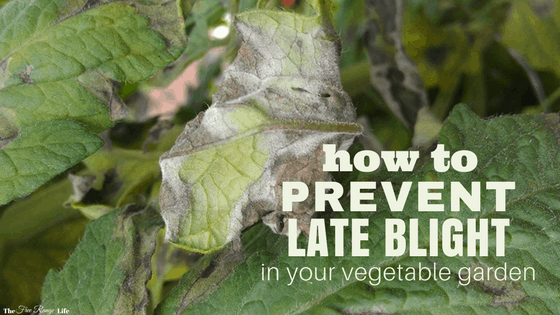 It takes warm temperatures and low humidity to dehydrate tomatoes with the sun, but it can be done! 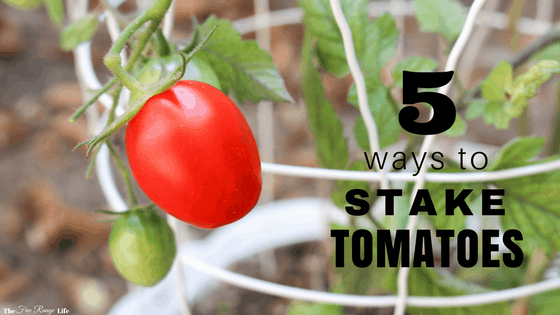 I suggest placing your tomatoes in a solar dehydrator or mesh drying rack to protect them from insects and debris. You can also pickle cherry tomatoes as a way to preserve them. 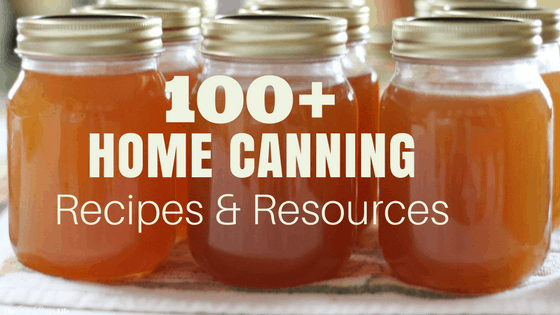 The vinegar makes for an easy brine and the canning process is simple. Of course you don’t have to can it, most pickeld tomatoes will keep in the fridge for quite awhile. Fermentation is a great way to preserve cherry tomatoes. 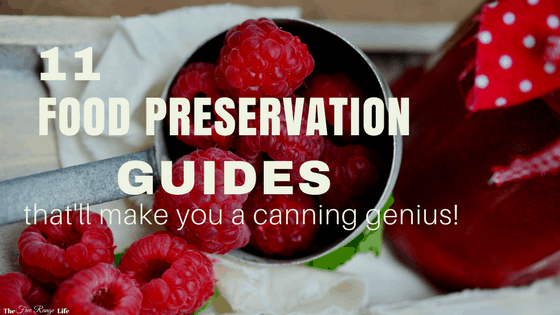 Fermenting takes longer than canning, but it is less work for you in general. Fermenting has a lot of health benefits- which you can read about here– but it can be somewhat of an acquired taste. You can ferment cherry tomatoes alone in brine- here’s a simple tutorial on how to ferment cherry tomatoes. I boiled my little cherry tomatoes for just a few minutes can I still freeze them ?? As far as I know, it is recommended to par-boil them prior to freezing. Note however that the texture will be fairly mushy when thawed, and the flavour will be less robust. And unless you skin all them little tomatoes after your par-boil them the skins will probably separate which is texturally strange and unsightly in sauces and soups.